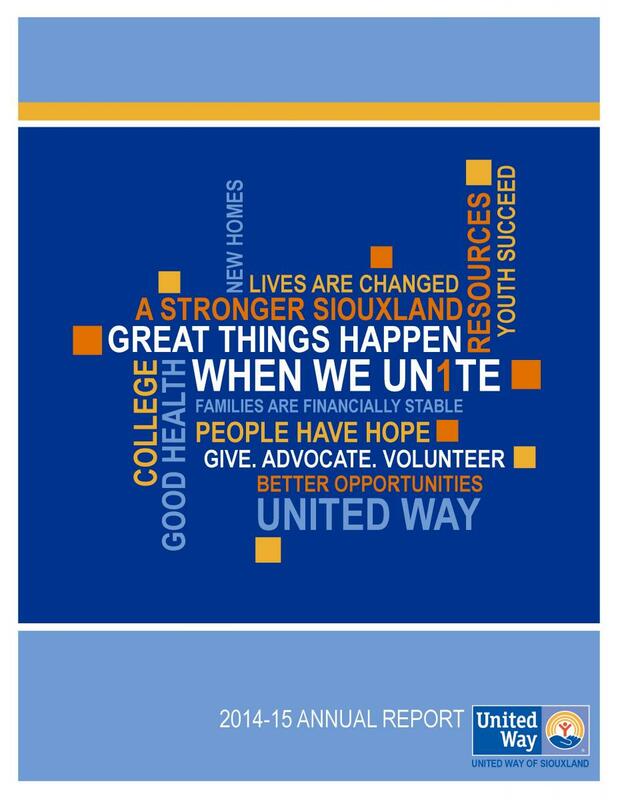 The United Way of Siouxland envisions a community where all achieve their human potential through healthy lifes, education, and financial stability. Your United Way works with community partners that include local agencies, businesses, government agencies, school districts, and volunteers - all with diverse backgrounds to achieve specific community goals. We are working to increase graduation rates by focusing on Kindergarten readiness, ensuring that all children are reading on grade-level proficiently by the time they enter 4th grade, and making sure that all youth are socially and emotionally prepared to succeed in school and beyond. Our programs also empower all people in the community to become financially stable by providing resources to increase knowledge and skills to manage income, and help get the education needed to improve earning potential. 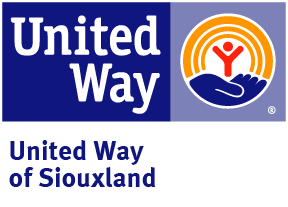 The third area of focus is working to make sure each person in Siouxland is able to live a healthy and safe life by providing resources to build the skills needed to cope, ensure children are born healthy and develop on track, and reduce bullying within families, schools, and the workplace.